A rich, coppery tone and a classic bell shape lend high style to this gold fabric lamp shade that includes a correct size harp finished in polished brass. 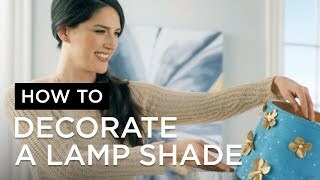 Spice up an existing table lamp with this colorful lamp shade. A classic bell shape with ribs in coppery gold. With a matching polished brass spider fitter. 7" across the top x 14" across the bottom x 11" on the slant x 10 1/2" high. White shade liner; polished brass finish spider fitter. Bell lamp shade design by the Springcrest Collection™. Coppery gold fabric with vertical and horizontal self trim. perfect for my replacement needs. The color is rich and matches my decor and it's the right size. Right size and color for antique lamp we just bought. Color and of course shape & size. Hoping for success. I’ve been searching more than a year. Tired of beige and white. Choose this lamp shade to coordinate with the palm leaf faux leather shade. Picked coppery tone to compliment white ceramic lamp base. I was given a couple of old Chinese lamps that needed nice shades. I think these will be great. I had old lamp needed new shade to go with another lamp with gold shade. I wanted a dark lampshade for ambiance. I was actually looking for a lampshade with a gold interior and an orangey/rusty exterior, but I couldn't find one. Same shape as other shades in the room. Hopefully it will be the right size to look good. 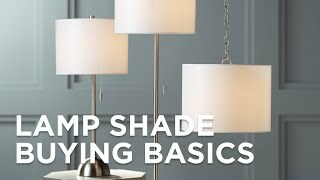 Would this shade be nice for a bedroom, My lamps are a brass color ? BEST ANSWER: My Floor Lamp is Brass, and the "Coppery Gold Bell Lamp Shade" goes nicely with it. My Lamp is in the Living Room, but this shade of "Gold" is such a neutral color, I think it would work in almost any room. I have 2 of these shades in my bedroom. They are great! Yes! Not quite as gold as in the picture. Yes, I have two of these in my bedroom. Is this color made in other dimensions? BEST ANSWER: I'm sorry, this shade is not available in any other sizes. Customer Service was incredible - caring, interested folks who worked very hard to help me find what I wanted. The shade is in my living room. It looks great. Great quality. I will buy again for my other brass lamps! 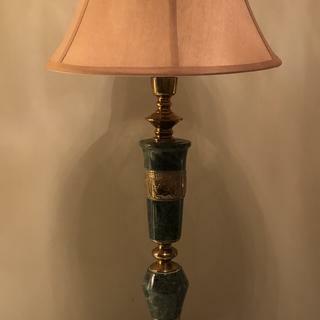 These gold shades are gorgeous on my jade & brass lamps. They sit on a foyer credenza. I also added the coin finials. This creme lamp shade lends your decor ultimate elegance with lovely scalloped edging trimmed in braided texture.